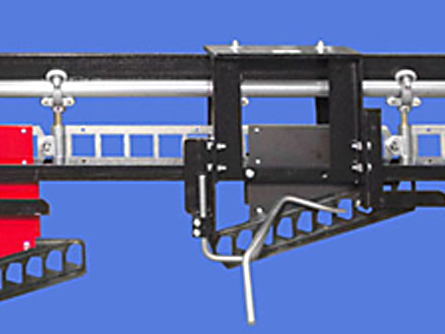 Dispat-U-Veyor is the leader in a basic mechanical sorting conveyor systems. With a capacity of handling 1,200 pieces per hour, sorting up to 36 stations, this unique White Conveyors product has a 35-year record of success. A Dispat-U-Veyor system is easily applied in any garment handling operation and can be used in many light item delivery systems. Hangers are placed on selected hooks, which correspond to discharge stations. Traveling perpendicular to the path of travel, items are discharged by passing a mechanical probe. It is that simple.